EVEN MORE DURABLE WITH UPDATED GEARING! BRAND NEW SET TOP BOX 'STYLE' CONTROLLER! The Selfsat Snipe 3 'White Line' Single Output fully automatic satellite antenna offers an inconspicuous installation due to its new completely white stylish design. 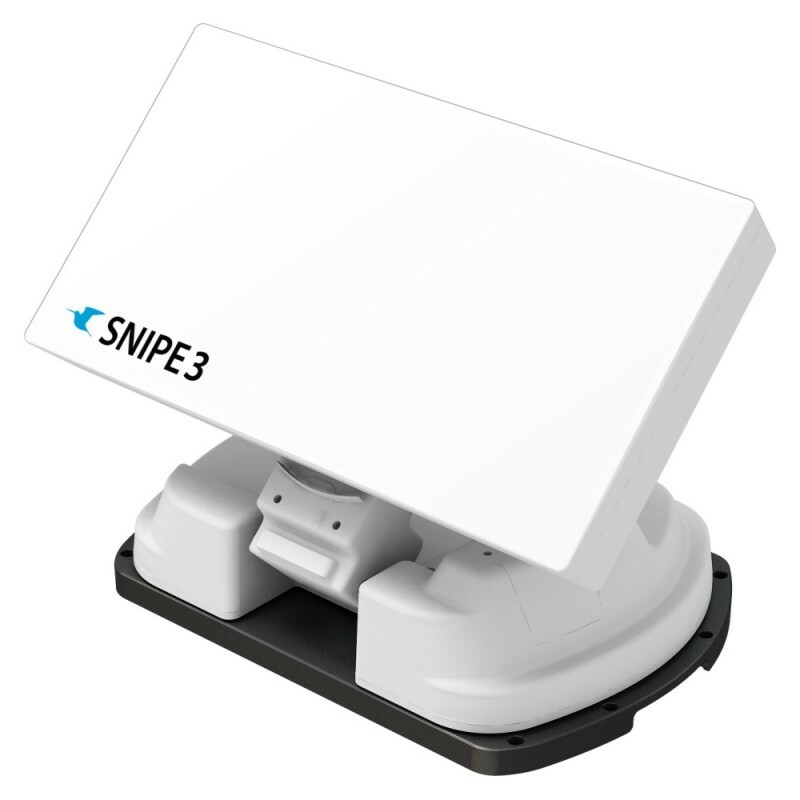 The compact form factor of the SNIPE 3 antenna takes up very little space. Even the annoying alignment at a new location is eliminated. Thanks to the integrated GPS module and electronically controlled drive, the antenna automatically aligns itself at the touch of a button. You receive your usual desired program even when traveling, as long as the respective satellite is available. The SNIPE 3 automatically folds as soon as you turn off the receiver or start the vehicle. Despite its small dimensions, the Selfsat SNIPE 3 offers a very good reception results. The three-layer antenna structure with wave guide horn array function largely prevents the diffuse reflection of the satellite signal. Horizontally and vertically polarized signals are separated and directed to the LNB. The result: a high signal strength at the LNB. Click the button below to add the Selfsat Snipe v3 White Line Single LNB Automatic Antenna No Mount to your wish list.